How Do Filter Medias Work? Filter medias are actually depth filters. 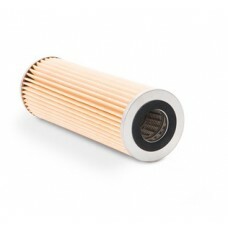 Various parameters influence their effectiveness: Mechanical particulate retention, absorption, pH, surface properties, thickness and strength of the filter paper as well as the shape, density and quantity of particles to be retained. The precipitates deposited on the filter form a “cake layer”, which – depending on its density – increasingly affects the progress of a filtration run and decisively affects the retention capability. 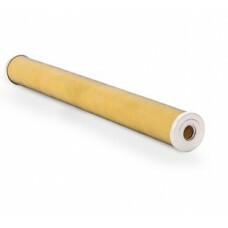 For this reason, it is essential to select the right filter media to ensure effective filtration. 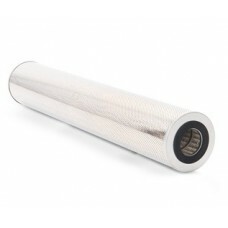 This choice also depends on the filtration method to be used, among other factors. In addition, the amount and properties of the medium to be filtered, the size of the particulate solids to be removed and the required degree of clarification are all decisive in making the right choice. Henek Manufacturing can help! 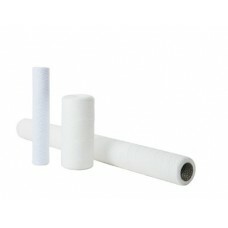 HENEK's pleated cellulose filter cartridge are available in hundreds of sizes and replace most original manufacture's nominal and absolute rated particulate filters. Our media is heat cured for strength and durability and functions with most fluids having a PH range from 5 to 10. Our media is analyzed under ISO conformity to ensure each shipment is at the desired requirement. Heavy gauge metal cap..
HENEK's coalescers are constructed with high grade glass fibers and rayon and include a corrosion resistant aluminum epoxy screen. Our Inner and outer layers are made of rayon fibers impregnated with phenolic resin set between these layers is the coalescing layer (borosilicate microglass). Efficiencies range from 93% to 99.9999% at the 0.3 micron range. The pre-filter can be constructed with..
HENEK's pleated water absorbing fitlers are designed for removal of water and particulates from petroleum products. The media is designed to absorb water from petroleum products and chemically locks it inside the media. When a cartridge starts reaching its holding load it begins to swell and cause an increase in the differential pressure which signals the operator to change the cartridge. 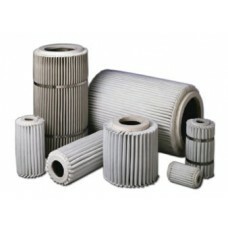 The..
HENEK's microglass cartridge elements are designed for a wide range of fuel and oil applications. Our cartridges stand up to continuous use in fluids without the softening or deterioration common with some resin impregnated paper cartridges. Henek's cartridges are made with advanced synthetic polyester, nylon and microglass medias, which allows high flow rates with low pressure drops as well as ex..
HENEK's fuller's earth or clay media effectively removes color bodies, surfactants, water, free fatty acids, organic oxides, and other polar contaminants from a wide range of oils, liquids, and waxes. For transformer oil the earth granules remove contaminants and moisture from used transformer oil to improve interfacial tension, dielectric strength, power factor, acid number, and color of the oil..
Our separator elements are made up of high quality material and available in a variety of dimensional configurations. 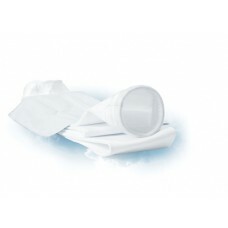 The shell on our separator is a Teflon® coated screen developed for hydrophobic applications and offers the ability to handle higher flow rates while effectively separating water from liquid/liquid streams. Each lock seam on the shell is secured around an internal silicone trea..
HENEK's stringwound filters provide depth filtration and exceptional prices. Cartridges are available constructed from many different materials offering excellent compatibility with many fluids and temperatures. 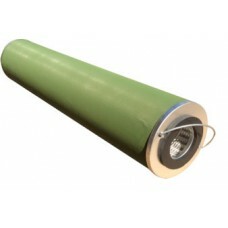 The stringwound cartridges are available in sizes to fit most commercially available housing. Applications: Oil Field Process Water Plating Chemicals Replacements For: D.. Fabric or synthetic fiber cartridges have temperature limitations. 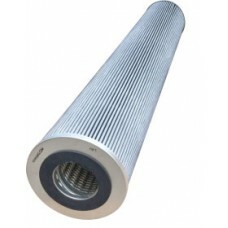 Henek's stainless steel filters replace low limit temperature filters with wire cloth elements that are good up to +1000°F, and they are unaffected by most caustic fluids and air streams. Made entirely of 316 stainless steel, they are cleanable and reusable with a particle retention ratings as fine as 5 microns a.. 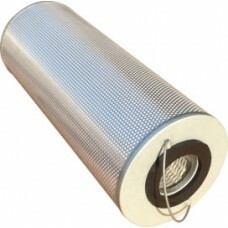 Heavy duty radial fin filter elements, also called sewn end filters, are made with 1/4' perforated 16 gauge or 20 gauge center cores. Each media fin is supported by heavy 4 x 4 mesh to keep the upstream flow from pinching the pleats together and allow over all media strength during the filtering process. 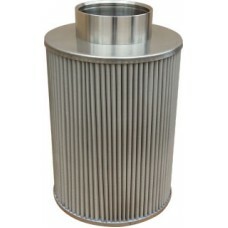 The elements are cleanable and can be factory reconditioned for less cost of a new filter. ..